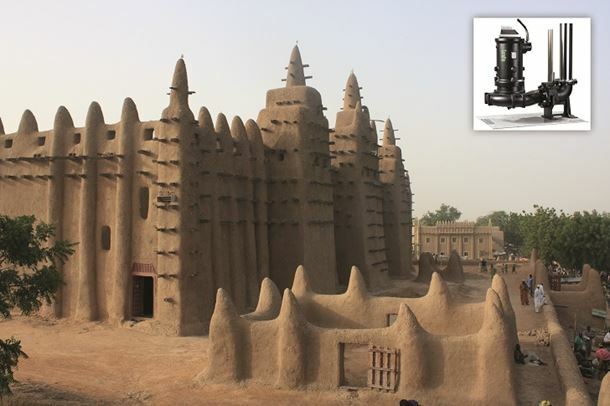 Four Landia pumps are to be installed at a new university campus in Bamako, Mali. The Mali-bound Landia pumps will be supplied via HYDRANET - Atlantique Industrie Groupe of Ancenis near Nantes, France. HYDRANET is the main distributor of Landia equipment in France and also supplies French speaking countries in Sub-Saharan Africa. Ideal for pumping heavily contaminated fluids, as well as effluent with a high content of solids, the Landia DG-I 80s are equipped with an external knife system at the inlet to the pump, which ensures hassle-free operations under conditions in which many other pumps have problems with clogging. Recirculating chopper pump from Landia ensures grease and scum are continuously churned up.